Hello again! I hope you are enjoying the tail-end of summer. It’s hard to believe that Labor Day is almost upon us. This week, in addition to my weekly events, I’ve asked Father Michael Nolan, pastor at St. Mary’s in Waltham, to write a guest post on his trip to mainland China on his way back from World Youth Day. You can find his contribution at the end of this post. 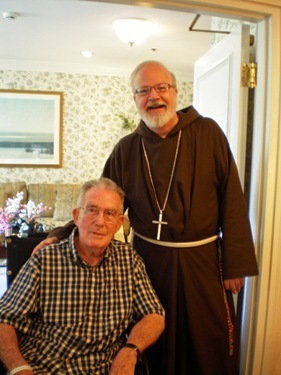 I was recently visiting Maristhill, a nursing facility run by the Marist Sisters in Waltham. 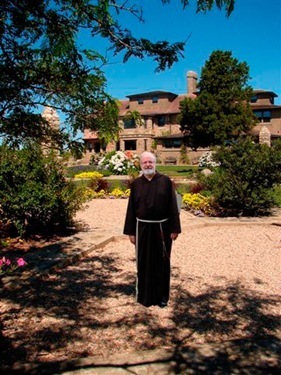 One of the more renowned priest of our archdiocese is presently in residence there. Father Jim O’Donohoe was for many years on the faculty of our seminary. His field of expertise was moral theology. Many of our priests were his students at St. John’s. I have heard from many of them about his outstanding ability as a teacher and his great sense of humor and quick wit. They have told me of his ability to combine solid Catholic theology with practical kindness, especially in hearing confessions and offering guidance to our people. 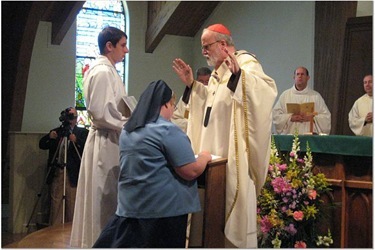 Almost his entire priestly life has been in the classroom. He was also on the theology faculty at Boston College for many years. I’ve heard that his former students there, among them many nursing students, appreciated his talents as much as our seminarians. He has always been close to the Grey Nuns and has lived with them at Youville in Lexington serving as their chaplain for many years. 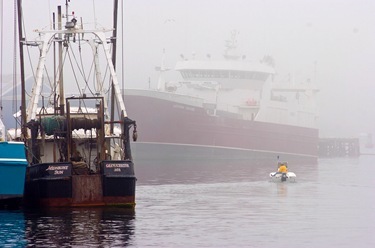 Recently he’s had some health problems which is why he’s at Maristhill. It was a great visit and as you can see he looks younger than his bishop! 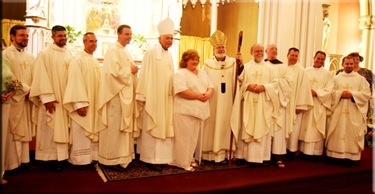 On Friday, we were thrilled to attend the consecration of Kathy Reda as a perpetual virgin at St. Mary’s in Dedham . 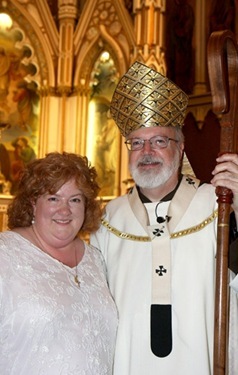 Kathy was with us in Australia for World Youth Day and she has been so active at St. Mary’s as a youth herself and now as an adult she is active in their youth ministry. 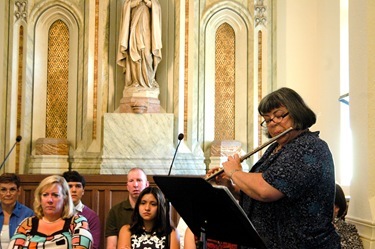 Her consecration brought many hundreds of her parishioners together to experience this moment as a time to reflect on this important vocation and the dignity and witness of virginity as a call to be a sign of the Church in the world. 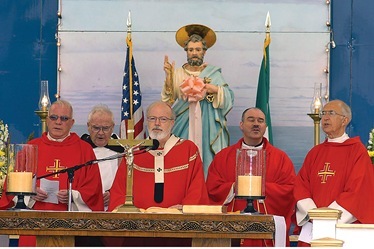 There were a number of priests there as well, including: the pastor of St. Mary’s, Father Bill Williams, Father Bill Lohan, Father Chris Hickey and, of course, Father Matt Williams, who has worked with Katie for many years. It was a wonderful opportunity to have a Mass with a very large group of young people and to reflect on the importance and the beauty of consecrated virginity. 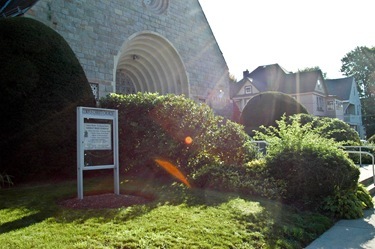 On Saturday, we were in Methuen for a very beautiful Mass at St. Monica’s to witness the final vows of Sister Holly Gauthier. There were so many people there. 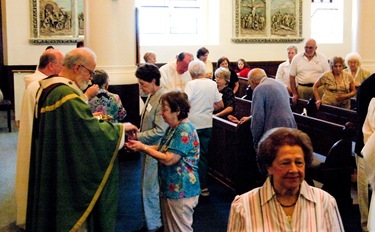 The church was filled with Sisters of the Presentation of Mary, including some sisters from France, all there to mark the perpetual profession. Three years ago, I presided at her simple profession, when she finished the noviate, so I was very pleased to go back and see her and her family again and all of the sisters. 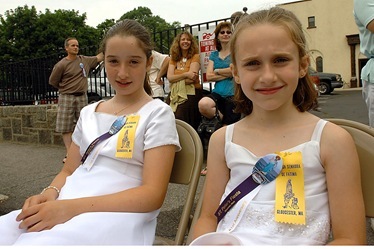 We don’t have many young sisters being professed, so it was an even more important event in the life of the Church. 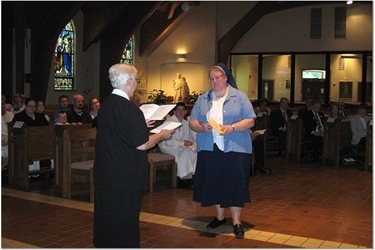 The sisters have Presentation of Mary Academy in Methuen, and they work in a number of the parishes and ministries in the archdiocese. 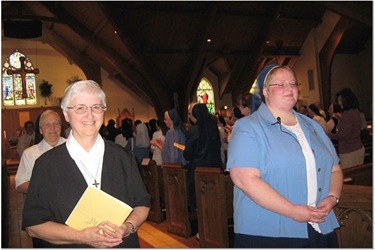 They are a wonderful community of religious women and we rejoice they were professing Sister Holly. Father Jim Clark and Father Pat Armano, the co-pastors at St. Monica’s, hosted a wonderful luncheon afterwards. Being there with them gave me an opportunity to reflect with the sisters on the importance of their vocation in the life of the Church. It was a very happy occasion. Sunday, I made a pastoral visit to the parish of Corpus Christi-St. Bernard in West Newton. Father Frank Silva, the pastor welcomed me and it was great to see the church after it had just been freshly painted. It looks very beautiful. At the Mass, I expressed my gratitude to the members of the parish for their efforts to bring about this new community of the combined parishes. I found great enthusiasm among the people there. 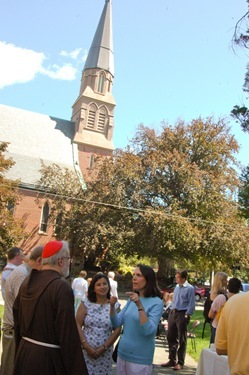 Afterwards, there was a reception outside where I could greet the parishioners and hear about their experiences all of the wonderful things that are happening at the parish. 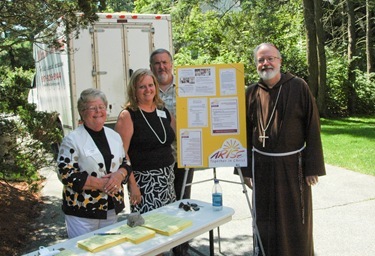 They were having a signup table for Arise—and so many people at Corpus Christi-St. Bernard are getting involved in this parish renewal program. We were very pleased to hear from the volunteers how well it is going. 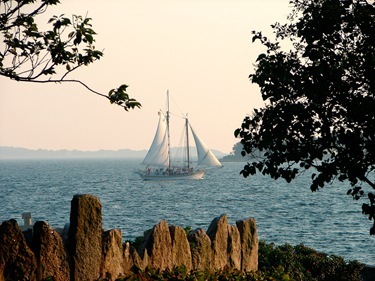 Sunday night through Thursday, I was on my annual retreat with the other bishops of our ecclesiastical province at St. Edmund’s Retreat on Enders Island in Connecticut. Father Justin Matro, a monk from the St. Vincent’s Archabbey at Latroube, PA preached the retreat. 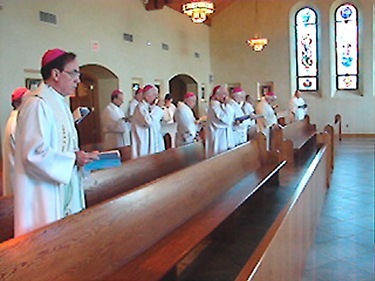 It is always a very special time when the bishops can be together and pray together. 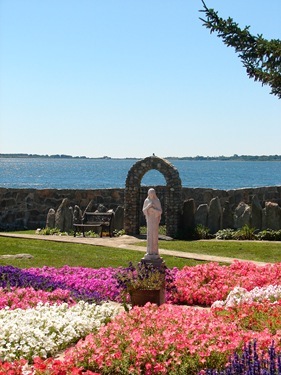 Father Tom Hoar has done a tremendous job at the retreat center at Enders Island making it a center of spirituality. Being there, surrounded as it is by water, it really is a great opportunity to glimpse the beauty of God in nature. We had perfect weather this year, which made the retreat even more grace filled and joyful for all the bishops. 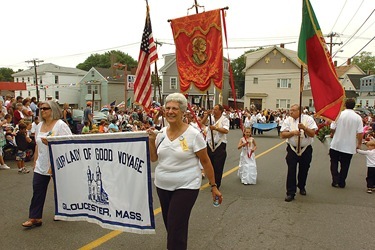 Finally, before I leave you with Father Michael Nolan’s account of his trip to mainland China in July, I want to share some photos with you of my trip in to Gloucester for the Festival of Saints Peter and Paul. Even though, it’s been several weeks since my visit there, the photos just arrived so I thought you might like to see them. 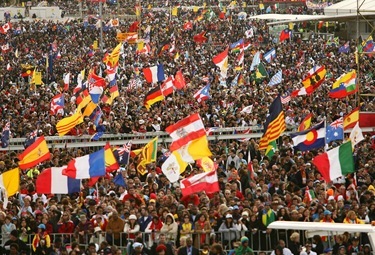 The recent World Youth Day celebration in Sydney Australia was the fifth one I have attended since going to Paris in 1997. Each of these meetings has its own certain flavor and unique character, yet they have all promoted the same mission. They always remind everyone around the world that the Church is young and alive. 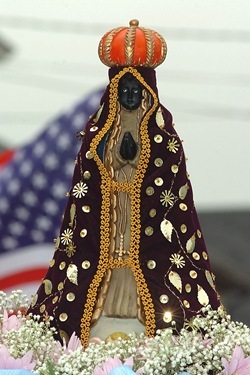 More importantly, they remind the pilgrims who attend these events that, in Christ, you are never alone. Being reminded of that truth always knocks my socks off because it seems that everyone today, whether young or old, fears that they are alone or will end up all alone. 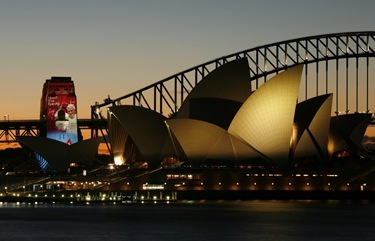 Hearing singing as we walked the downtown streets of Sydney, seeing the happy faces of young people and listening to a man like the Holy Father who always has something beautiful to say reminded me that the Lord will never abandon His people; that through His church we are never alone. That memory saved me when I arrived in the People’s Republic of China a few days after Sydney. I am not an expert on the subject of China and I have only traveled there once before but the government of this ancient culture has been trying to build a society on the idea of ‘atheistic humanism’ since the time of Chairman Mao. 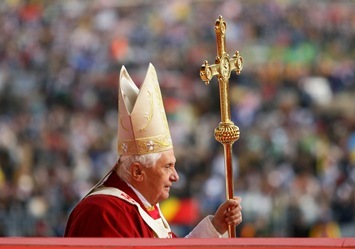 The experience of the Catholic population in China confirmed all those words above that were spoken by the Pope at his talks. My accommodations in Beijing were provided by my friend, Rev. 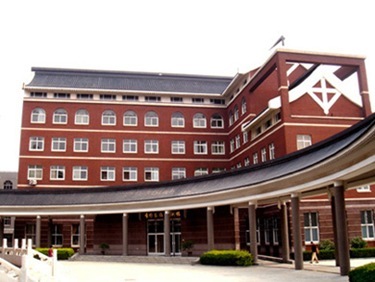 John Chen, who is the Vice-Rector of the National Seminary. 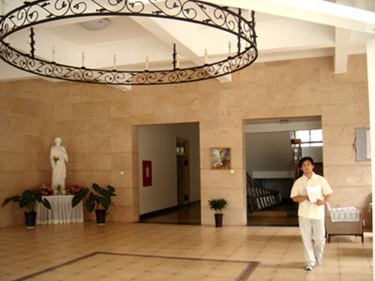 Father Chen is a priest of the Diocese of Tsing-Tao. 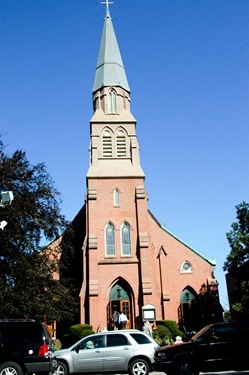 Father John prepared for the priesthood at Saint John’s Seminary in Brighton and later received a degree in Higher Education from Boston College. 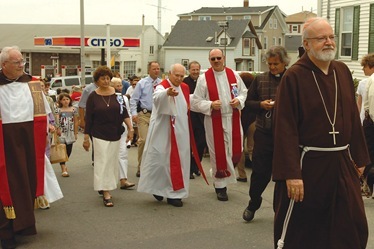 He is well known in Boston especially to those of Sacred Heart Parish in Quincy. Father John is an awesome guy who works hard, even though it seems he is always joking and laughing. The Beijing of 2008 looked very different from what I remembered from my last trip. Obviously everything was focused on the Olympics. I read somewhere that they planted over 40 million flowers in the city to make it look good. Almost every billboard promotes the Games. 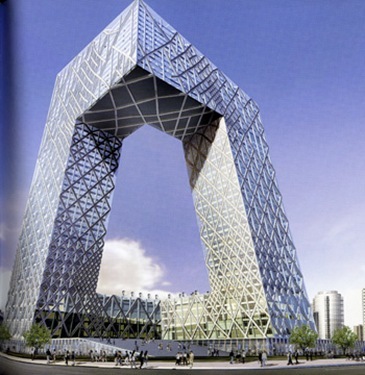 They have also built some amazing buildings and skyscrapers as part of the 294 billion Yuan, or $43 billion, they have spent preparing for the Olympic Games. The new airport designed by Norman Foster was amazing and efficient. I have never seen buildings like the new Chinese Television Headquarters and National Symphony Hall. Almost everyone has seen the Bird’s Nest and Water Cube, so there is no need to mention them. Yet, the changes didn’t just involve new buildings. The roads were all brand new or repaved, and there were many more cars and fewer bicycles than the last time I was there. 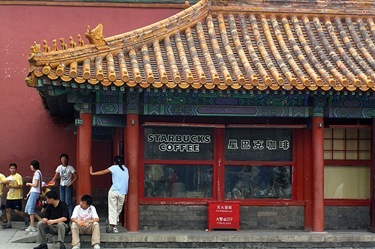 Now, you can find a Starbucks on almost every other city block. Yet everything is not so spectacular. The pollution was as bad as the journalists are reporting. The sunlight never broke through the smog in all the days I was there. You never see the moon or stars at night. Other visitors told me that it had been like that for weeks on end. The Olympic Committee also has total power over the residents of Beijing. 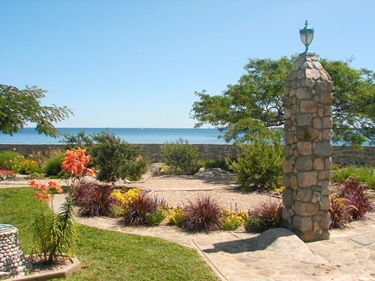 The Olympic torch was scheduled to pass by the Seminary but the Committee didn’t like the looks of the Seminary wall. The Seminary was told to fix it so it would look good for those few seconds. The media has reported how they have done similar things to families and small businesses. Eleven years ago, there were all sorts of life and commerce on the streets of the city. It was interesting to see people getting haircuts outside. Today, the sidewalks and streets have been cleared for the foreigners and media. Thankfully not everything has changed. Take Chinese food, for instance. The food in China is delicious. Most the time you don’t know what you are being served and it is better not to ask. One night, we went to a restaurant that specializes in different ways to prepare donkey meat. And I found out that jellyfish tastes pretty good after eating it at so many different restaurants. I love how the Chinese eat almost everything and don’t let things go to waste — though I did make my host promise that we wouldn’t be served any cat or dog dishes. The Catholic Church has undergone some changes in the past few years but it still faces the same old threats to her survival. Paradoxically, her fragility and small size may be her greatest strength right now. 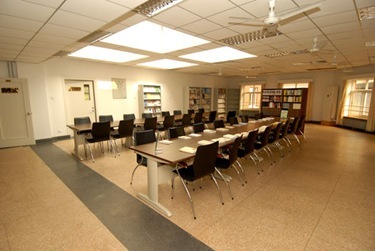 The most striking change is the building of a new Seminary complex. 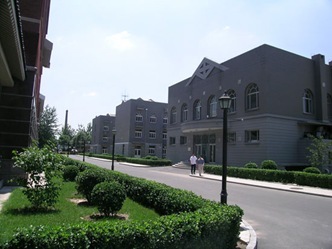 The last Seminary was one building with many problems. 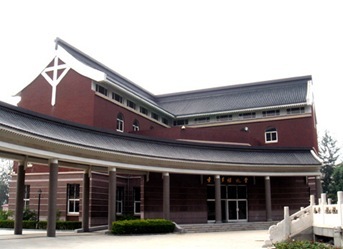 In 2006, they moved to a brand new Seminary complex with eight huge buildings. 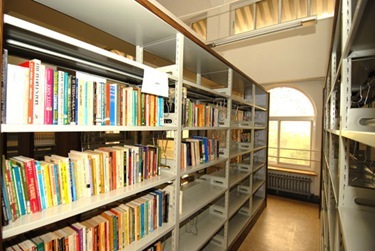 They are assembling a library. This is not easy since many books, including almost all of the Fathers of the Church, have not been translated into the Chinese languages. 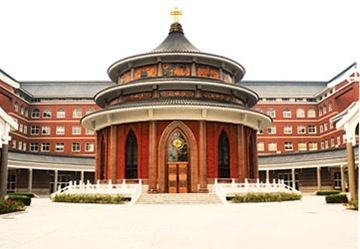 The campus is centered around a large circular temple inspired by the Temple of Heaven. 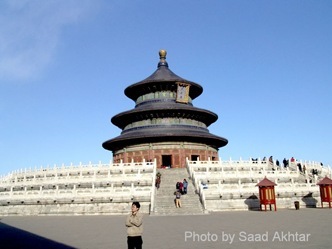 The Temple of Heaven is considered one of the most beautiful and important buildings in China. I think the idea is to show that Christianity is not hostile to China and to remind Catholics that Christ brings everything to fulfillment. 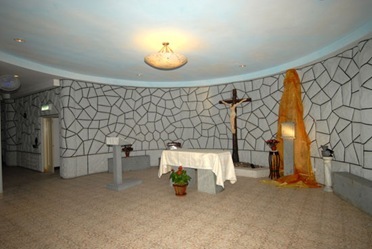 The walls in the crypt of the Chapel, which is dedicated to the Mystery of the Annunciation, are painted to look like a cave reminding worshippers of when the Church was in the catacombs. What hasn’t changed is the constant pressure the Church faces from the government. Every local church in the world has to deal with government meddling and interference, but the Chinese situation is extreme. The Church always has to worry about its property. There are internal pressures, as well. Rivalries between ‘Patriotic Association’ followers and ‘Underground’ followers continue to weaken the Body of Christ. 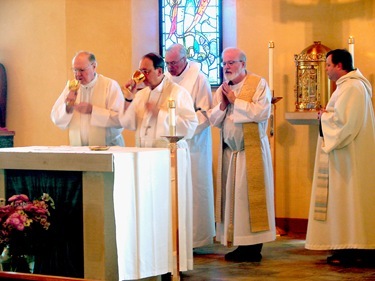 Vocations to the priesthood have dipped in recent years. One of the leaders of the Bishop’s Conference told me this worried him and that he wanted to keep strengthening the formation of seminarians instead of relaxing standards. I suspect that the birth control mentality and policies for all Chinese families is discouraging vocations the way it is in the West. Another challenge is how the Church must spend a great deal of time and effort negotiating with the Chinese officials to defend her rights. Yet the government has allowed the Church to receive help from foreigners. I spent time with a few priests, nuns and lay people from the U.S., Ireland and the Philippines who were teaching a course for religious sisters and brothers of communities from all over China. Ms. Joanna Chao, a former member of the faculty at Saint John’s Seminary was one of these teachers. 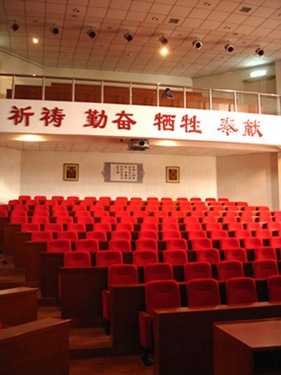 Recently, a woman from Germany came to teach a brief foreign language course. She liked it so much that she asked to remain and is now teaching German and English full-time at the Seminary. Let us pray that this small community of Christians survives. Even if they can’t do much at the present time they can receive the Holy Spirit in China. 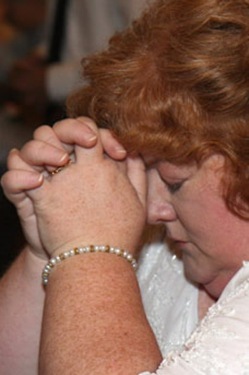 I was able to worship the Lord and pray for the Pope there no differently from any other place in the world. 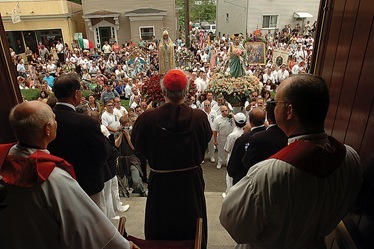 I was able to offer the Sacrifice of the Mass for the Cardinal on the anniversary of his installation just as I would have done if I were in Waltham. I am committed to pray more and more for the Church in China out of love for them and for the all the people of this great culture. This ‘little flock’ living in the midst of constant government interference and pressure is really the hope of this nation no matter how economically developed China becomes. 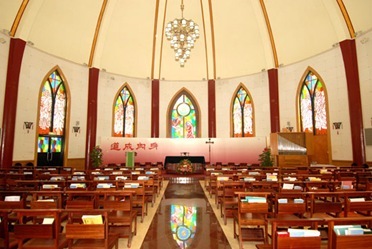 The Church is small yet powerful; even more powerful than the government because she possesses the truth about man; including the truth about every Chinese person. The local Church in China may never build great buildings like the ones that have been built for the Olympics but neither will she scar the environment the way Beijing has become so polluted. The Church may never have power to provide security the way the army and police do by showing force but she can truly set people free through solidarity, sanctification and charity. 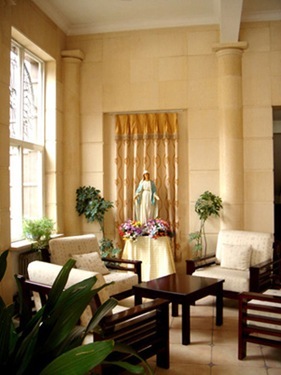 The Church may remain small and suffer for many, many years in China but her presence and belief in the dignity of every human life will always threaten the legitimacy of a ‘one family-one child policy’ that harms families and females in particular. After six days in Beijing, I traveled to Shanghai to visit some other friends. There I spent time with the Catholic Expatriate community. 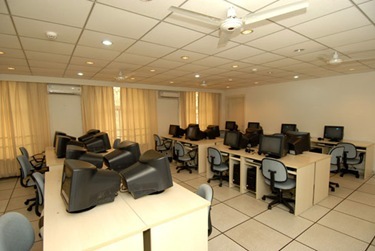 Shanghai is a very cosmopolitan city due to its history and the numerous opportunities for work. 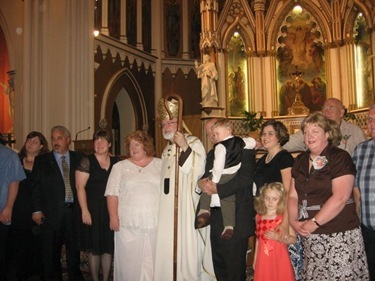 The Expatriate Catholic community has grown in recent years under the leadership of Rev. Joseph Lu. 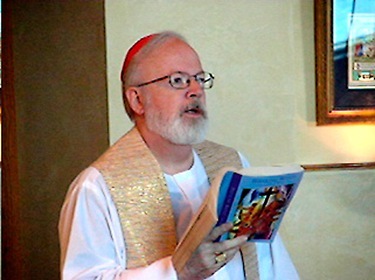 He was chosen for this position because he speaks English and studied for the priesthood at Saint Joseph’s Seminary in the Archdiocese of New York. 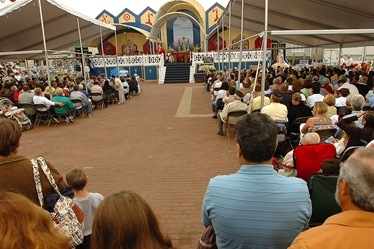 Three Masses are celebrated each weekend to accommodate all the worshippers. They have just moved to the Church of Saint Francis Xavier in the old French Concession near the famous Bund.